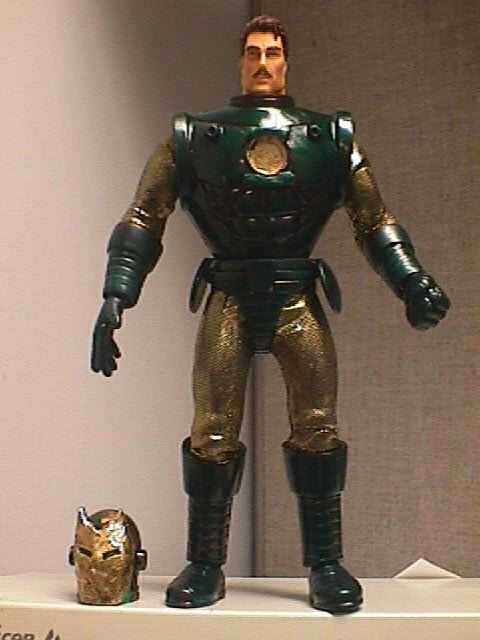 From the pages of Amalgam Comics comes this tasty combination of Iron Man and the Green Lantern. 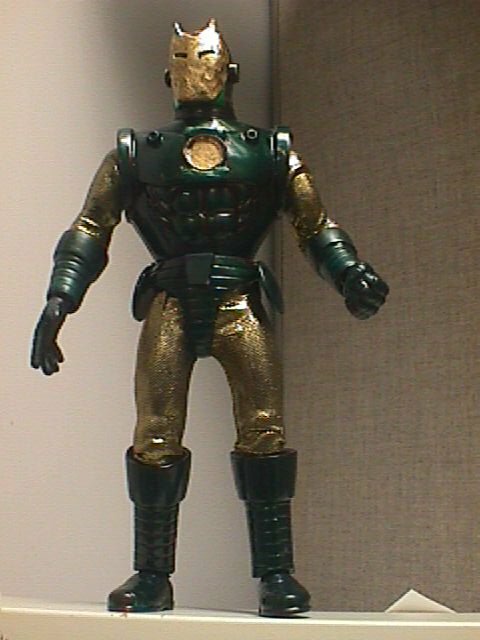 The Invincible Iron Lantern, inheritor of the super powers of OA, the Living Planet! 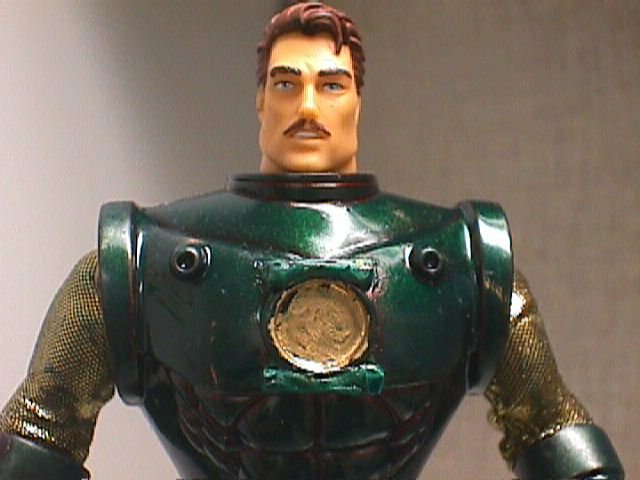 A close-up of brown-haired Millionaire Test-Pilot Hal Stark.